Central Europe is undergoing a series of transformations, with technological advances, lifestyle changes and political shifts, which is attracting international interest across sectors. For the 5th edition of The CEE Summit, Poland Today and Investment Briefings, powered by PropertyEU, invited global investors and CEE market leaders to explore this ‘New Europe’ and discuss what’s ahead for investments, cities and the real estate sector. Assessing investment risks requires brushing up on the current political situation so to start off the conference, Marek Matraszek, Chairman at CEC Government Relations, navigated Poland’s new political landscape and presented an analysis of what the results of the recent election could mean for Poland’s future. With a record voter turnout in local elections, the main question is – who won? Matraszek said both the ruling party and the opposition won in a way, considering Law and Justice (PiS) won small, rural districts while Civic Coalition (KO) votes were concentrated in large, urban cities. The balance is shifting between Eastern and Western Poland, but the bigger problem is the divide between urban cities and rural areas. PiS is struggling to win in large cities and even mid-sized towns. Matraszek predicts that this election will embolden Donald Tusk to come back and campaign for the opposition party in the parliamentary elections and even presidential elections in 2020. From an economic standpoint, no market is unobtainable because of political risk if investors are prepared, said Sabina Kalyan, Co-Global Head of Research and Global Chief Economist at CBRE Global Investors. Kalyan presented CBRE’s findings on real estate trends, themes and global forecast as well as risk assessment methods. She said that it’s always possible to find a good deal on a bad market, but a company must really believe in that location and asset for a good return on an investment. After seeing the facts and figures, Richard Stephens, founder & editor of Poland Today, asked investors what factors they take into account when deciding to invest in Poland and CEE. Wouter de Vos, CEO of Atterbury Property Investment in South Africa said his company has a “bottom-up approach” – they have good partners in certain regions and are opportunistic. “We stick to what we know and if opportunities come up, we go with it.” Mr. de Vos participated in the property tour around Warsaw earlier that day and said, “What we saw was really impressive. I must say that what we saw really excites us.” Factors to watch out for include politics, EU relations, labour market and domestic investments, according to Robert Martin, Founding Partner and Head of Central Europe at Europa Capital. Martin said he’s interested in the hotel sector because tourism is growing worldwide and hotel occupancy in Europe is increasing, so this is one area worth investing in. Kirsten Felden, Senior Investment Manager for CEE Region at Union Investment Real Estate GmbH in Germany, said Poland is doing well from an investment and economic point of view and said she’s impressed by how Warsaw is growing and how professional the city is becoming; however, she’s worried about the rental stability long-term. In addition to offices, she said Union Investment is investing in shopping centres and logistics in Poland because it’s a dominant market with room for investments in secondary cities. Martin Erbe, Head of International Real Estate Finance Continental Europe at Helaba in Germany would also invest in all of the sectors, but he is cautious about the office market because supply is creating the demand and older locations and buildings are suffering. He did say politics should be taken into consideration because changes in tax or bank laws for example can affect clients’ financing. As for the new skyscrapers causing concern, Janusz Dzianachowski, Partner, Real Estate at Linklaters said yes, more business is coming into Poland and most of it is owned by foreign investors but there are new players or ones returning after years of inactivity from all over the world. Additional interest in the region is coming from the East, with the development of China’s Belt & Road initiative. Frank Schuhholz, Founder of FMS Advisers B.V. in The Netherlands, outlined the $900bn investment programme and how it will affect the CEE countries. Poland will remain a main transit country because it has the shortest connection to main hubs in Western Europe and has upgraded railway infrastructure. Meanwhile, Hungary has Adriatic connections and will become a key hub for Southeast European container flows and Slovakia will be a transit country with a border point terminal in Dobra as a key connecting point. During the panel discussion, speakers talked about their experiences with REITs in their countries and the impact they make on the real estate sector. Katarzyna Kopczewska, Partner at Baker McKenzie said REITS is very desired on the Polish market, which is currently dominated by foreign investors. Polish capital is at the level of 2% market share in real estate and what is missing is a legal platform for investors to put into real estate. Andrew Cox, Head of Investment Relations and Corporate Development at Globalworth said if there is a REITs regime in the region and is attracting capital, it would be positive because critical mass is very important. He added that most countries have national real estate champions and it’s that permanent capital that provides retail space, office and logistics so you have to welcome companies in all markets to add a good feature to the landscape and raise the investment profile. Mark Robinson, CEE Research Specialist at Colliers International commented that when you have many companies listed, there is a case of ‘survival of the fittest’ to compete for capital investment on the sector and it drives these companies to think about financing. After the speed-dating session, during which participants conversed with experts on selected topics ranging from flexible offices to proptech, guests were encouraged to choose one of two breakout sessions: CEE capitals or Polish cities. In both sessions, the conversation focused on the need for domestic investment, creating liquidity and transactions, flexible office space, transparent markets, financing developments, REITs, unpredictable tax structures, and attracting and retaining a talented labourforce. In honour of Poland’s 100-year anniversary of re-gaining independence, the first day of the summit concluded with a celebration dinner which included a riveting vodka tasting led by Andrzej Szumowski, President of the Board of the Polish Vodka Association and a founder of the new Polish Vodka Museum in Warsaw. In addition, Deputy Mayor of Gdynia Katarzyna Gruszecka-Spychała, showed the emergence of Gdynia from the seaside port to the buzzing city it is today. On a less serious note, after-dinner guests were invited to the stage for an informal panel to talk about their greatest successes and mistakes in their real estate careers, and those from abroad recalled their earliest experiences in Poland. The celebration was filled with laughter, candid anecdotes and spontaneous toasts to 100 more years of independence. With an early start, the second day of the conference began with a fast-pace presentation by Margarida Caldeira, Chair of the EMEA Board at Broadway Malyan in Lisbon who said “the future is urban” and showcased a number of exciting projects in cities that welcome mixed-use projects and promote a healthy lifestyle. From Dubai to East Village in Canada, developers see the value in understanding how people live, work, play, learn because it’s rapidly changing. The most liveable cities will attract a larger percentage of the best talent, investment, resources, she added. So with that being said, the future is about the re-evaluation of urban spaces to create public spaces for residents and tourists to enjoy, and to provide high quality homes, offices and retail centres to increase a city’s competitiveness. Moderated by Financial Times correspondent James Shotter, a panel of experts discussed what the future holds for Poland and the CEE in terms of prospective investments and the effects of geopolitical developments across Western Europe and the US. With positivity, Dorota Dąbrowska-Winterscheid, Managing Director of the American Chamber of Commerce, said American companies have had 28 years of successful investment in Poland and it continues to be a hot destination for investors. Although there has been rising concerns about what is happening in Poland in recent years, it’s mostly based on impression rather than reality, she said. Poland needs better PR to help its image. In contrast, Przemysław Krych, Founder of Griffin Real Estate, said that at face value, Poland looks like it’s in good shape, but a number of challenges lie ahead – energy policies, the labour market, slow growth of public investment and declining consumer confidence – and he doesn’t think this government even understands what it’s facing. President of Globalny Lider, Marcin Bużański, said that what’s more challenging is predicting how Europe will face these challenges, from migration waves, to Brexit, to EU budgets and other issues. Poland is a resilient country, but coupled at the same time, the stress level and resilience can go down. Krzysztof Sakierski, Director at PwC, added that people are seeing areas that they’re cautious about, but in terms of prospects on the CEE level, people are wondering if there will be a slowdown or plateau of markets. Overall, the real estate landscape is stable, but investors need more ways to invest in development and legislative stability is key. The second round of break-out sessions focused on real estate sectors: office, and retail and warehouse, led by experts from companies, among others, Panattoni Europe, Anchor Stockbrokers, CBRE, Axi Immo Group and Cushman & Wakefield. In addition to discussing investment volumes in the CEE’s office market and vacancy rates, participants were able to ask questions about new spaces under construction and the effects of the labour shortage. In the next room, the discussion was geared toward e-commerce, adapting to new customer demands and key industry trends. 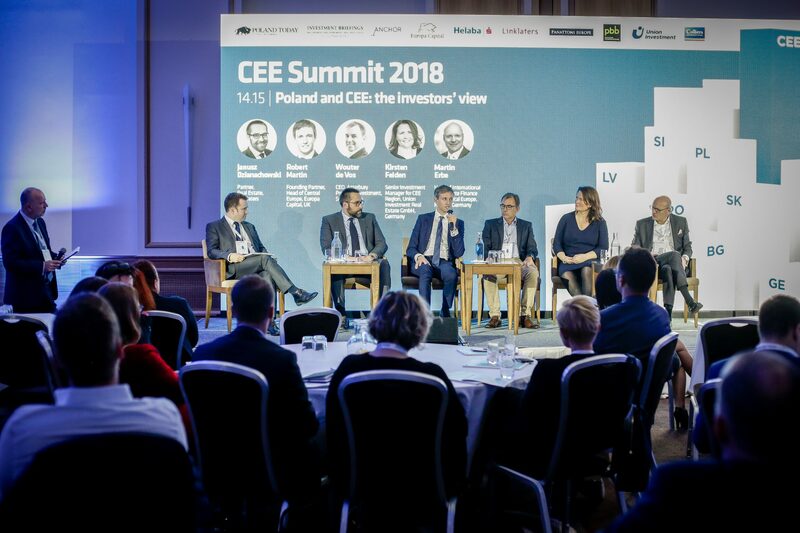 To wrap up this year’s CEE Summit, the final panel was all about ‘Strategies for Success’ and key international investors shared their experiences of investing in CEE and revealed where they think the market is heading. 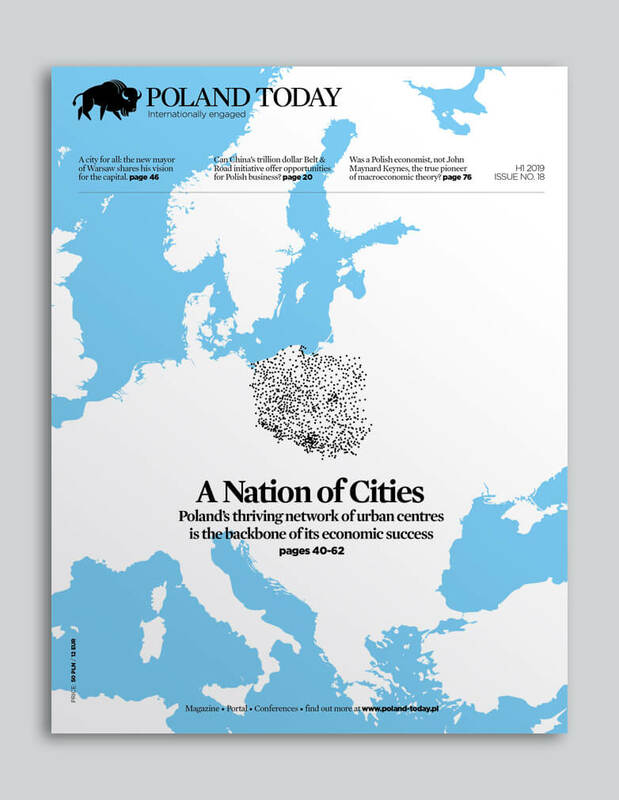 Adam Pustelnik, Director of the Investor Service and International Cooperation Bureau at the City of Łódź, said the one factor needed to achieve success is an idea and scale. He used Łódź as an example by explaining how they converted a big weakness – huge post industrial infrastructure – into an asset with the development of a €1bn big revitalisation project. Definitely be opportunistic, stressed Tim Norman, Managing Partner at Chayton Capital, but don’t be stupid. Being brave is important, but so is risk assessment, due diligence and not cutting any corners. Dr Walter Hampel, Head of Real Estate Finance International Clients and CEE at pbb Deutsche Pfandbriefbank said that despite what’s happening in Europe, the economic effects are still positive and he hopes international interest will not slow down, but there’s a shift in where funds are coming into the region – less American money, more Asian money. Luckily there are still potential in the growing logistics market and Chief Operating and Financing Officer in Poland at Panattoni Europe, Karina Trojańska, said e-commerce, supply chains and online shopping trends have changed the picture in Europe dramatically due to cultural changes and the new generation of consumers. Since these changes are not dependent on the business side, she said her company takes a good look at the market, diversifies its products as much as possible and looks for new opportunities in logistics. Craig Smith, Head of Research and Property at Anchor Stockbrokers, said there are some large REITs who are active in the region from South Africa and there’s significant capital flow over the last five years. There are different strategies to expand but for investors, it’s important to have liquidity and scale and continued investment in the region is likely from existing players who have proven track records. Before the final send-off, there was a special viewing of the ‘Future of Warsaw’ film, created by Poland Today, in association with the City of Warsaw, which focuses on upcoming projects and developments by the top developers in the city – projects which are bringing Warsaw further into the future.